An inves­ti­ga­ti­on into the country’s poli­ti­cal and eco­no­mic situa­ti­on, its inter­nal secu­ri­ty and the situa­ti­on of refu­gees. The Ger­man Minis­ter of the Inte­rior wants to increa­singly reject Afghan refu­gees app­ly­ing for asyl­um and pre­fer­a­b­ly deport them. 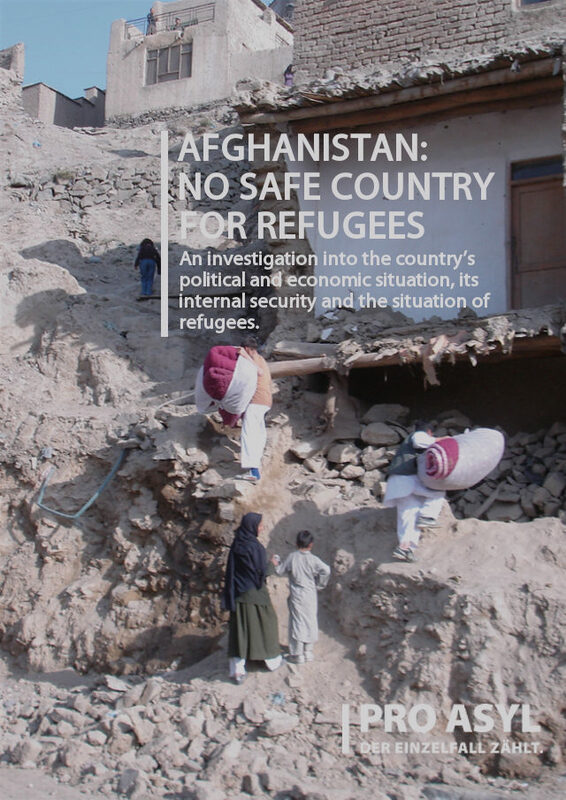 This brochu­re (inclu­ding a pre­face to the Eng­lish edi­ti­on) pro­vi­des infor­ma­ti­on for Afghan refu­gees and their advi­sors and docu­ments the cata­stro­phic secu­ri­ty situa­ti­on in Afgha­ni­stan as well as the country’s deso­la­te poli­ti­cal and eco­no­mic situa­ti­on. The bot­tom line is that Afgha­ni­stan is not a safe coun­try – not for its inha­bi­tants and even less so for refu­gees and retur­nees. The­re­fo­re Afghan refu­gees must con­ti­nue to enjoy appro­pria­te pro­tec­tion in Ger­ma­ny. The brochu­re is also avail­ab­le in Ger­man. Edi­tor: För­der­ver­ein PRO ASYL e.V.